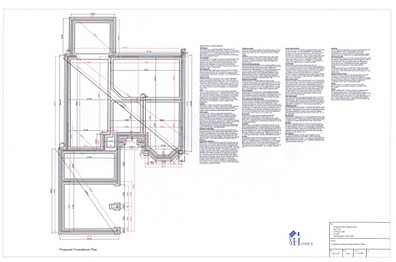 Show all information in plan form to construct the property. 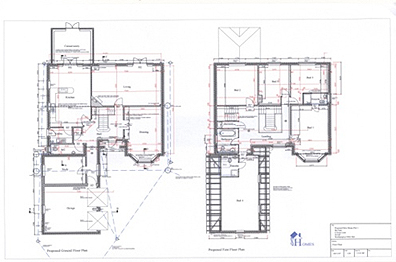 Please note, kitchen layouts, bathrooms and all other fittings shown may vary depending on your own specification, the plans can be modified to suit your exact type/size etc.. Showing the front, rear and sides of the house including all exterior details and height measurements. 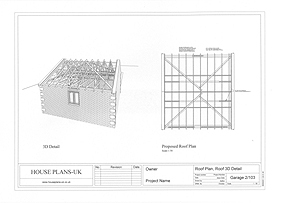 Include roof plans, joist layouts and any other additional details are included to provide compliance with Building Control. 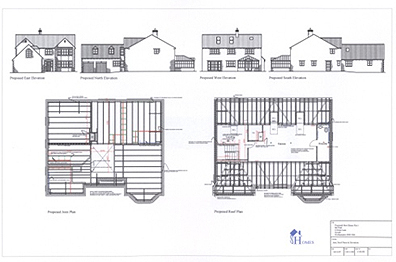 This will be a standard strip foundation footing plan, to enable you to set-out your property, as your exact foundation design will be dependent on your ground conditions and your local building inspector. It will include all waste drops, setting out dimensions and service entry points. 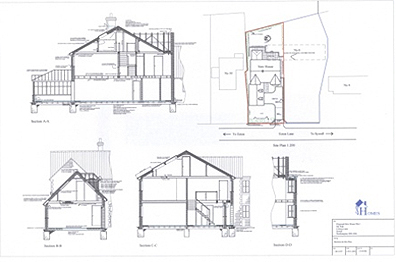 All construction details are included on the plans to provide compliance with Building Control, these include Robust details, ventilation ,acoustic, insulation, fire regulations and all other compliant regulations.